A small isolated cluster of trees in the midst of a snow storm. 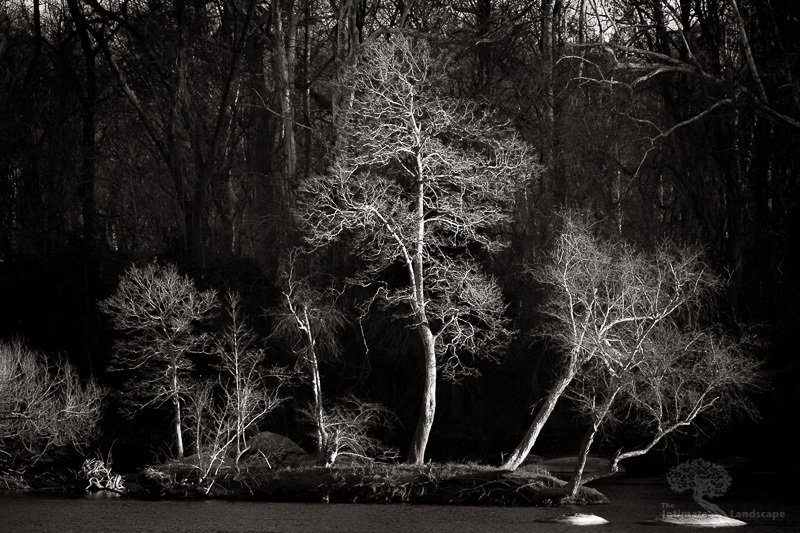 A little more than 5 years ago, I photographed a scene on the James River that I titled “Bonsai Garden“, which showed white-toned trees on a dark background, due to the angle of the sun striking the trees in the foreground, leaving the background still in relative shadow. A little more than 3 years ago, I noticed a small cluster of trees on a farm south of Leesburg, Virginia that I knew, under the right conditions, would make an excellent companion piece to Bonsai Garden and I’ve been waiting ever since for those conditions to happen. At least, I was until a short time ago when my patience was awarded and the conditions developed in the form of a snow storm that dumped about a foot of snow in the Northern Virginia area. The reason I needed a snow storm was so the trees would appear black against a white, almost featureless, background; the opposite tones found in Bonsai Garden. My Toyota 4Runner was thankfully more than up to the task of trekking through the near-blizzard conditions as the roads to this location were completely covered in snow, even though plows were doing their best to clear them. There is a small area to park off the road just in front of the trees and, once again, my 4Runner got me in and out with no issues. After mentally visualizing this scene for three years, I knew exactly how I wanted it to look and how I would shoot it. I packed only the lens I knew I would need, the GF 110 f/2, a GFX 50s body, and my tripod. The exposure was 1/40th of a second @ f/11, ISO 100. I took only 3 images to allow for slight differences in how the snow was falling during the exposure and chose the one with the more pleasing streaks of snow agains the dark bark of the trees (which, when zoomed in to 100%, gives the image the appearance of an etching). 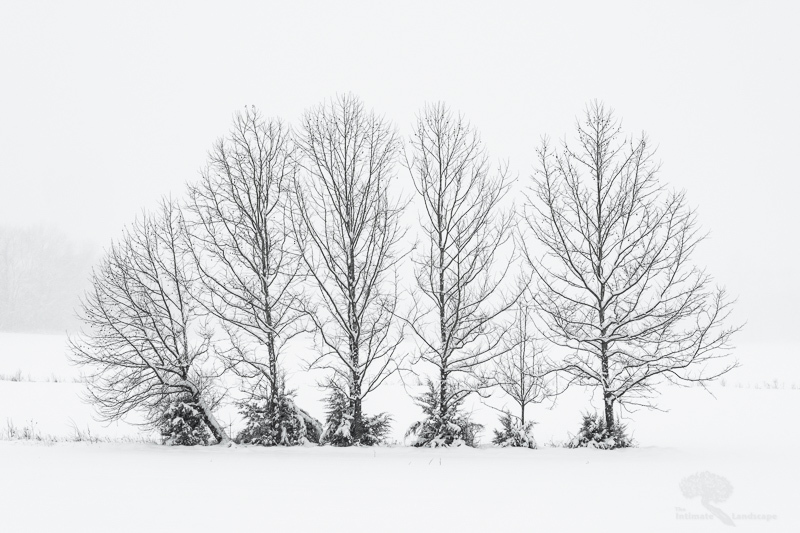 This entry was posted in Landscape Photography, Minimalism, Winter and tagged black-and-white, blizzard, cold, minimalism, snow, Trees, white, whiteout, winter.